HEALTH & LIFESTYLE: [VIDEO TUTORIAL] MAKING MY ACAI BOWLS AT HOME! — All Eyes on Jordy C.
As those of you who follow me know, I post my food on social media here and there. Whenever I post my Acai bowls whether they're store bought or homemade...these bowls always get the most attention/screen shots! So I figured I'd show you all just how easy they are to make at home. 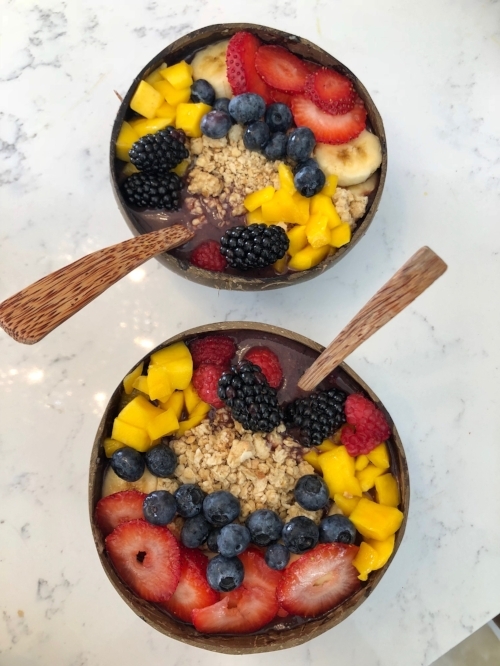 Anyway, if you aren't yet familiar with Acai, Acai is berry that is grown from the Acai Palm Tree in the Central and South American Rainforests. The fruit is considered a Brazilian Superfruit. It is said that the pulp from an Acai berry is richer in antioxidants than most other berries such as; raspberries, blackberries, cranberries, blueberries or strawberries. To view more benefits of the Acai Berry click here.